So many commercial kitchens throughout Southern California are unknowingly harboring the ghastliest thing imaginable… grease! If your commercial kitchen’s exhaust system isn’t thoroughly cleaned on a regular basis, then it’s at a risk of a flash fire (plus it’s in violation of code, and you could be fined). To prevent ghostly grease from taking refuge in your commercial kitchen’s exhaust system, establish a partnership with Flue Steam. 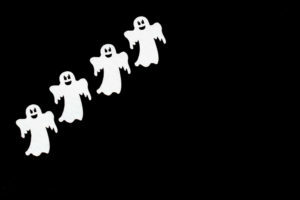 We’ll gladly send one of our experienced, highly knowledgeable technicians to your commercial kitchen to expel all ghostly grease from all areas of your exhaust system. But you may be wondering, how does it work? These are the industry standards for commercial kitchen exhaust system cleaning. Hand scraping is just what it sounds like – simple, effective, and affordable hand scraping of all accessible areas of your exhaust system including the fans, hoods, ducts, and hood. Steam cleaning involves more setup and expertise, and it utilizes hot, high-pressure water to expunge stubborn grease from every inch of your exhaust system. It costs more, but it’s even better than hand scraping. We recommend that most businesses sign up for monthly hand scraping services and supplement this with steam cleaning 2-4 times per year. That way, you’ll get all the benefits of both systems of cleaning. We’ll be happy to set up your hand scraping and steam cleaning services at dates and times that make the most sense for your and your staff’s busy schedules. Just give us a call at 800-700-FLUE to schedule your first cleaning today. Our mission is to make sure your commercial kitchen exhaust system gets and stays as clean as possible for as long as possible. One important aspect of this is making sure your grease filter is changed on a regular basis, so we offer convenient grease filter exchange services. When a grease filter is clean, it can trap up to 70-80% of the grease that passes through it. But if it becomes saturated with grease, it won’t be able to do its job, so your system won’t run efficiently and there will be a dangerous accumulation of grease right next to your cooking appliances. Talk about a flash fire risk! Prevent this by signing up for grease filter exchange services from Flue Steam. At preset intervals, we’ll deliver fresh, clean filters right to your business. We recommend scheduling this service every 2 weeks. We also sell new grease filters of various sizes from top brands like Flame Guard and Kason for your convenience. Schedule grease filter exchange services now by calling 800-700-FLUE. 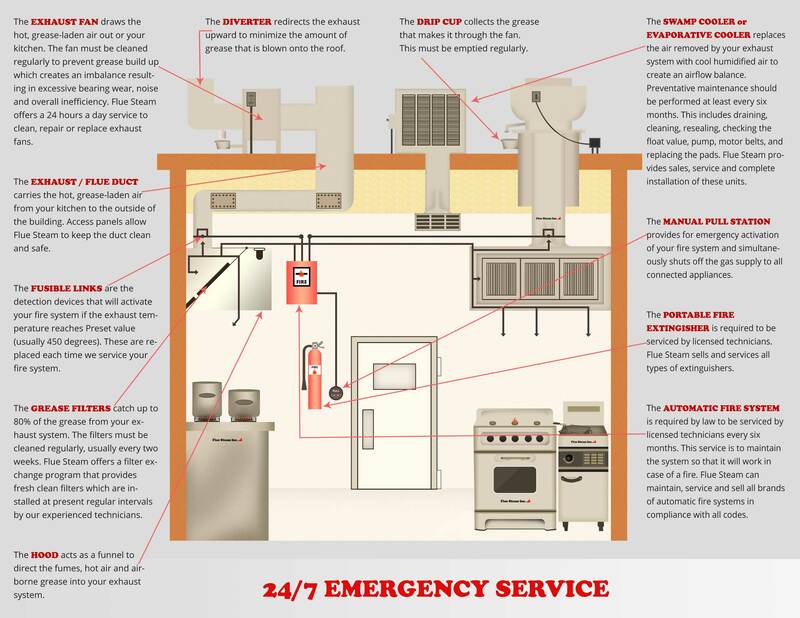 We also offer exhaust fan maintenance, automatic fire suppression system service, and portable fire extinguisher sales and service for commercial kitchens throughout Southern California. Establish your partnership with Flue Steam today by simply calling 800-700-FLUE. We look forward to serving you!